Wow. Where do I turn next? Which tournaments should my son or daughter play in this summer? Should they play high school golf? How will they get a scholarship? And so on. In this day and age, youth sports are more complicated than ever, and junior golf is no different. The playing field is competitive, there seems to be more tournament choices than ever, and many parents are left with a continual feeling of confusion when trying to make the best decisions for their son or daughter. This guide is designed to give a helping hand to junior golfers and parents regarding several of the options available. It isn’t the be all, end all for your planning, but will be a road map about where to start and where to play. Overall, this writer, the father of a junior golfer and high school basketball player, agrees with the philosophy of current Coronado High School Golf Coach Joe Sawaia. “I believe it’s very important for kids to play a balanced schedule of local tournaments and then regional and national events,” says Sawaia, the father of two up-and-coming junior golfers. “All of our local juniors, especially the top golfers, should support our local organizations because that raises the quality of our tournaments in Southern Nevada and gives them more validity. But it’s also important for golfers to play in the national tournaments to get recognized and ranked. I am a big supporter of what the Southern Nevada Golf Association is doing with junior golf and believe it’s important for everyone to support that. I also believe that every kid should try and play high school golf because the team aspect of it is so important and meaningful. I come from a team sports background so I am probably biased, but there is nothing like playing for a team, especially in golf. Golf is a game of a lifetime and offers benefits to all who play it. Junior golf will provide lasting memories for junior golfers and, for some, a chance to play the game at higher levels. As stated in the intro, deciding where it is best for a junior golfer to play in tournaments can be a confusing process for parents and kids. Here are some of the top options that are available throughout the year. 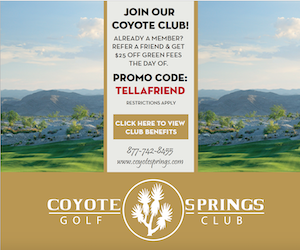 For more info you can visit www.southernnevadajuniorgolf.com or www.LVJGA.org. The Antigua Junior Tour has been a Southwest Section breeding ground for top junior golfers for more than 20 years. The tour is a series of one-day tournaments for boys and girls 18 and under. There are ten separate districts in Arizona and Southern Nevada with six events in each District. A Tour Championship for the top players in each district takes place at the end of the season in Arizona. The Antigua Junior Series is operated by PGA of America professionals from the Southwest Section, PGA of America. The Las Vegas-area events are operated by PGA of America professionals from the Southwest Section, Southern Nevada Chapter, PGA of America. 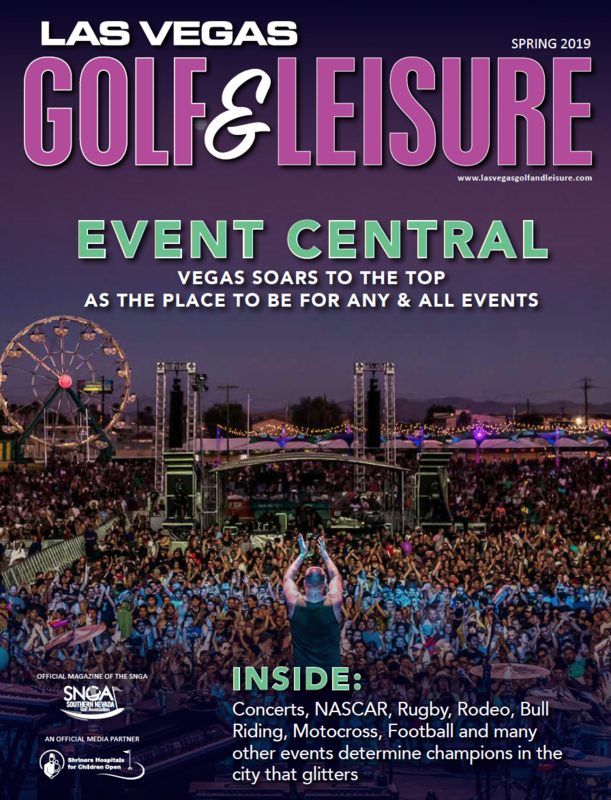 The 2016 summer season schedule is forthcoming, but events in 2015 took place at Reflection Bay, Boulder Creek and TPC Summerlin, among others. One of the best secrets in town for kids attending certain middle schools is the Middle School Tour, which is expanding to additional schools. Kids in grades six through eight can play at participating middle schools including Faith Lutheran, Bob Miller Middle School and other schools. Parents should contact their son or daughter’s school to determine if their golf club will participate in the spring session. If your child doesn’t attend a school with a team, they can be eligible to play for another school located nearby with the permission of the club leader. The schedule concludes with a team and individual tournament for boys and girls. Arguably the fastest growing junior golf program in the country is the relatively new PGA Junior League Golf program. This is another program operated by PGA of America professionals and offers young golfers the chance to play in a team setting that is similar to baseball, basketball or other team sports. Many Southern Nevada golf courses now offer teams and those course teams play against each other throughout the season. The season culminates in a playoff and then All Stars are also chosen. The All Stars travel to play other All Stars from leagues in the west. The Las Vegas team can possibly qualify for the national tournament. The PGA Junior League Golf is for kids 13 and under. Kids wear shirts with numbers and are coached by the course pros. Camaraderie and family fun is always a part of this new league that locally has expanded from a handful of teams to triple that last season. Some of the game’s biggest stars have jumped in as ambassadors of the program including Rickie Fowler, who is joined by Rory McIlroy and Michele Wie. “PGA Junior League Golf represents the future of our game,” says Fowler in a statement. “I'm excited about its growth, and by joining forces with Rory and Michelle as Ambassadors, we have an opportunity to help introduce the game to the next generation of golfers." The Ping Junior Player Series is operated by the PGA of America and offers high-level junior golfers another set of tournaments to hone their skills for the next level or to be recognized by college coaches. The top junior players in the Southwest Section PGA compete in two-day, 36 hole competitions hosted at private and resort facilities in Arizona and Southern Nevada. Tournaments on this schedule are nationally ranked by Junior Golf Scoreboard and the American Junior Golf Association. One of the newest junior golf tours available is the Las Vegas College Prep Tour. This tour is specifically designed for top-level juniors looking to play golf at the collegiate level. The tour is in its first year and the kids work with golf mentors in addition to competing in tournaments. The golf mentors are made up of some of the top golfers in the city including Las Vegas Golf Hall of Famers Brady Exber, Edward Fryatt and Eric Dutt, among others. The College Prep Tour is organized by the Southern Nevada Golf Association (SNGA), the official arm of the United States Golf Association in Southern Nevada. As the governing body of golf in Southern Nevada, the SNGA is becoming more and more actively involved with organizing and operating junior golf tournaments in the area. The series is available to players of varying ages, but kids must maintain a minimum 3.0 GPA. The Las Vegas Junior Golf Association (LVJGA) has taken over for the Southern Nevada Junior Golf Association tour series, which had been operated by The First Tee of Southern Nevada. The LVJGA features the largest tournament schedule in Southern Nevada and is for accomplished players, beginners and all players in between. The LVJGA features the prestigious Player of the Year points races and also oversees the selection of teams for the major regional and national junior competitions such as Boys and Girls Americas Cup and others. The LVJGA is organized and operated by the SNGA and is the parent organization of the Las Vegas College Golf Prep Tour. LVJGA tournaments take place throughout the year, but a large summer schedule is offered when kids are out of school. Tournaments are held at the top golf courses in Las Vegas and the schedule of events offers one of the most affordable tournament golf options for Southern Nevada juniors. The SNGA and the LVJGA are not-for-profit organizations. "Our main focus at the LVJGA is to give Southern Nevada Junior Golf a home with the ability to showcase the best talent our area has to offer," says Tanner Bown, director of operations. The Series schedule of tournaments is a developmental tour designed to give beginners and younger players the chance to thrive and learn tournament golf in a less pressurized environment than the regular tournament schedule. 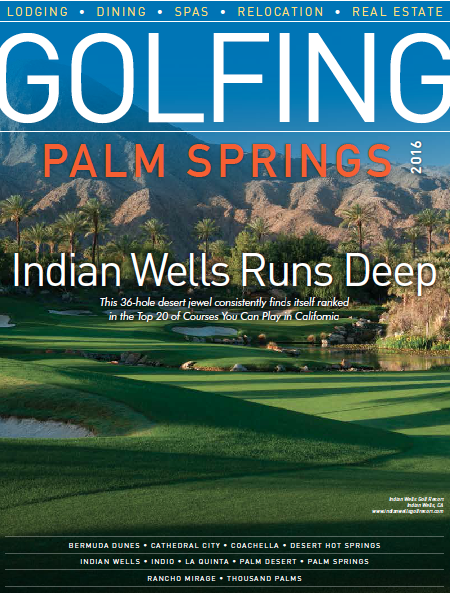 The Series was offered at both Desert Willow Golf Club and Durango Hills Golf Club (both executive courses) last summer. It was the first year of The Series and plans are already being made for year two. The Series took place every Saturday over the summer months and culminated with a Tour Championship. Unfortunately, the operations of The First Tee of Southern Nevada were suspended in 2015 due to financial difficulties. The organization thrived in the valley for several years with major donations from the Las Vegas Founders Club and Danny Gans, among others, but fundraising began to fall short in recent years. Over the years, The First Tee of Southern Nevada introduced the game to many kids who would never have had the opportunity, plus helped others earn college scholarships. The nine core values and other positives of the organization will be missed in the valley. The task of the developmental side of The First Tee of Southern Nevada will now be taken on by the Southern Nevada Junior Golf Association (see that listing in this guide for more info). The new Recruit Look Tour is scheduled to offer 15 events in 2016 at 16 courses. The Tour is operated by Recruit Look (a recruiting service that helps to assist kids with placement on college golf teams) and PGA of America professional Paul Brown. Brown also operates the U.S. Kids tour in Southern Nevada. The RecruitLook Tour includes tournaments in Southern Nevada, Arizona and Utah, and will culminate with a Tour championship at Reflection Bay. The Tour is for boys and girls ages nine through 18. Each player receives a free profile on the RecruitLook website. The SNJGA was the original junior golf organization in Southern Nevada, and was founded more than five decades ago. In the early 2000s, the organization merged with the Southern Nevada Inner-City Youth Golf Association to create The First Tee of Southern Nevada. The merger was never met with unanimous public approval and the SNJGA tournament schedule and operations of The First Tee of Southern Nevada were met with continual challenges. While details were not completely available at press time, the new SNJGA is said to be the “first step for any child to take who is interested in becoming involved with junior golf in Southern Nevada.” The SNJGA will be operated by a joint board of the local PGA section, the SNGA and the existing board of the SNJGA, which was doing business as The First Tee of Southern Nevada. The U.S. Kids Tour is a national tour with a local schedule that targets kids from ages five through 14. Local events are held at area courses each year, but then regional and national competitions are also available to the top players. The U.S. Kids Tour was born out of the creation of the U.S. Kids golf club company that was started in 1996 by Dan Van Horn. The club company filled a need of providing quality products to kids at affordable prices. In 2000, Van Horn created the U.S. Kids Foundation that operates the tour and also the Play & Learn portion of the program. There are several other regional and national organizations that hold tournaments in Southern Nevada throughout the year including the Toyota Cup, American Junior Golf Association, World Stars of Junior Golf, College Golf Combines and the Future Champions Golf Tour, among others. The tournaments offer the top players in the valley an opportunity to compete on a national and regional level without leaving the area. College scouts are also in the gallery at certain events, giving players a chance to be scouted. The American Junior Golf Association is considered the highest level of junior golf in the country, and only the top players can qualify for AJGA tournaments. Coronado High School opened a decade and a half ago. Since then, the boys and girls golf teams have had two constants: excellence and a coach. And it goes without saying that one goes along with the other. The coach who drives the excellence is Joe Sawaia. The program is in its 15th year and added the 5th overall Nevada State title to the trophy case in the fall of 2015 when the girls won their second straight championship. The boys won three-straight titles from 2010 to 2012. In addition, the girls (4) and boys (10) teams have combined for fourteen Sunrise Region titles and dozens of regular match victories. It also doesn’t look like the Coronado streak of excellence will end anytime soon. The girls team will return eight players from the back-to-back state championship team, and the boys are coming off a runner-up state finish last season. They have a core group of seniors returning in addition to some newcomers who will contribute. In addition to the team success, the program has also helped more than a dozen players move on to play at the Division I college level. Currently AJ McInerney, who was a part of the three state titles, is the captain of the UNLV Mens Golf team. Several players who are still at Coronado will also play at the collegiate level once their Cougar days are complete. TPC Las Vegas is dubbed the home of professional golf in Las Vegas because several PGA TOUR pros who live in Vegas play and practice at the course on a regular basis. But the PGA TOUR-owned and operated course also supports junior golf at a high level. 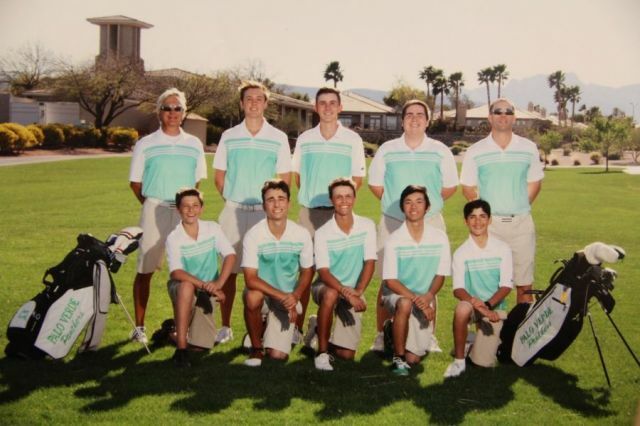 TPC Las Vegas is also the home course to the Palo Verde High School golf teams. Jack Trent plays for Palo Verde and is considered one of the next big things to come from Las Vegas junior golf. Annick Haczkiewicz, the cover girl of this issue, also plays for Palo Verde. TPC Las Vegas also hosts numerous junior golf events and offers preferred junior pricing that includes $10 bags of balls, $10 play in afternoons (walking), $2,750 junior memberships and $40 standing morning rate when the junior is accompanied by an adult. Located in the heart of the Las Vegas Strip is one of the top junior golf teaching programs in the city. The Eric Meeks School of Golf is located at the TaylorMade Golf Experience and on any Saturday—or many other days of the week—the school is bustling with youngsters learning the game and getting better with each swing. The kids learn under the tutelage of Meeks, the 1988 U.S. Amateur champion and longtime touring professional, in addition to Shane Madden. Meeks has a passion for the game and also is the father of one of the area’s up and coming golfers, young Cameron Meeks, who just finished in a tie for 6th in the Southern Nevada Golf Association Las Vegas City Amateur. The Meeks Academy is open to all juniors and offers private lessons, summer camps, tournaments and more. Eric Dutt, the vice president of golf operations for both Rio Secco Golf Club and Cascata, is a symbol of what is good about junior golf. Dutt, now a member of the Las Vegas Golf Hall of Fame, was one of the first members of the Southern Nevada Junior Golf Association in the 1970s and later played collegiate golf at Purdue. Now Dutt is giving back to the game that has given him so much by opening up Rio Secco to the Bob Miller and Del Webb middle school teams in addition to the Coronado and Liberty high school teams, and the UNLV women’s golf team. The high school and UNLV teams are given preferred practice times and the ability to play the course while the middle school kids can use the facility or play the course after 2 p.m. on weekdays and more times during the summer months. There is a pretty good list of golfers with deep ties to junior golf in Southern Nevada who have gone on to big things. Names like Robert Gamez, Craig Barlow, Scott Piercy, Edward Fryatt, Stephanie Louden, Julie Dunn, Mackenzie Mack, AJ McInerney and many others come to mind immediately. Among that list are PGA TOUR champions, LPGA Tour executive committee members, Stanford scholars, an author of a college golf guide, and the current captain of the UNLV Men’s Golf team. Now the next generation is building towards the collegiate level with an eye on a potential professional career. Here is a look at junior golfers working hard at the game, making a name for themselves. A few are highlighted with recent accomplishments. Unfortunately, space is limited so we can’t highlight every junior who is worthy, but we will continue to cover junior golf to the best of our ability. Dickey has signed to play Division I golf at the University of New Mexico. He is the winner of more than 60 junior events during his career including three Las Vegas City Junior Championship titles. He recently finished second place in the Las Vegas City Amateur, an event on the Southern Nevada Golf Association Tour. He also compiled seven top 10 finishes in a total of 18 American Junior Golf Association tournaments. Joe has committed to play golf at Lehigh University. Fritz is a freshman at the powerhouse Coronado and has been turning heads for several years with top finishes locally and nationally. He already carries a handicap of just 1. Goldstein is dedicated to golf and even has a personal website tracking her results to assist in the recruiting process at www.MorganGoldsteinGolf.com. Besides several junior golf tournament titles, her biggest claim to fame thus far is winning the 2015 Drive, Putt and Chip Finals at Augusta during Masters week. Annick, our cover girl, has been under the radar compared to some of the other top players, but that changed during the recent high school season when she was named All-Sunset Region Player of the Year as a sophomore at Palo Verde High School. Christian has committed to play at the University of Utah. Joels is closing in on her 100th total victory as a junior golfer. A recent victory came at the Southern California PGA Toyota Cup Series in California. Joels is ranked in the top 30 of the Polo junior golf rankings. She has been named US Kids Player of the Year four times previously. Tanner has committed to play golf at Utah Valley State. McKay is a senior this year at Coronado High School and was a first-team All-Sunrise player and second-team All-Southern Nevada player as a junior. He recently committed to Trine University in Indiana to play golf. Pate has been on the radar of college coaches for several years and is coming off a first-team All-Las Vegas selection in addition to first All-Sunset Region and All-Southwest League while playing for Bishop Gorman. She has also won local, regional and national tournaments. Trent is a native of Australia who moved to the United States, specifically Las Vegas, to get adapted to the culture and play in more competitive junior events and other tournaments. Trent, who plays at Palo Verde High School, is coming off of the Nevada State High School championship and also won the prestigious Clark County Amateur, a major on the Southern Nevada Golf Association Tour, the highest-level of amateur golf in Southern Nevada. In that event, he defeated current UNLV Golf captain AJ McInerney and former PGA TOUR player and Rebel golfer Edward Fryatt among other top players.